The last step is missing in these World Cups in Jordan, to establish the national under 17 winner. The semi-finals, disputed between Venezuela-North Korea and Spain-Japan, have established the clear supremacy of the two Asian teams, while they relegated the opponents to the imminent fight for third place. 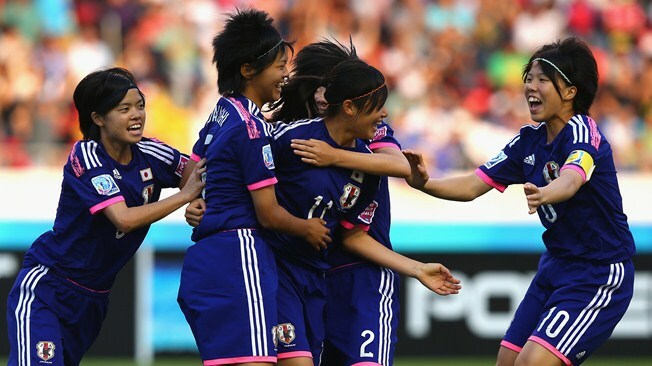 The Japanese, with a net in time, repeat the victory of 2-0 on Spain, obtained in the opening match of the group stage, and graduate of the 17 Under-World Championships. 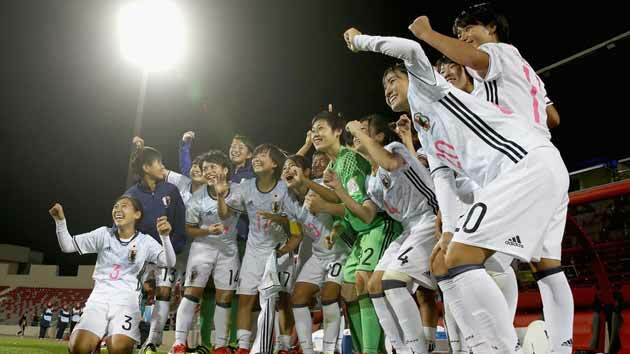 The Japanese victory has never been questioned, the Japanese girls have managed the final match, showing, against the indomitable Spaniards, the clear athletic and technical-tactical superiority that highlights the growth of women's football in the Rising Sun. Painless defeat in the last game of group A for the azzurrine by Enrico Sbardella. Italy, already qualified, loses the unbeaten and is bypassed by Venezuela, and will meet in the quarters the first rankings of group B: Ghana who, although defeated by Canada, has collected one point more than the North Americans. You play at the stadium "Alejandro Morera Soto", which will not have the same glance of the "Nacional", a real talisman for the blue, but also makes a good impression in this competition worthy of the best spotlight. Space to rotations in Italy, with Durante, Boattin, Bergamaschi, Rizza and Giugliano left to catch their breath; between the posts space in Toniolo, a captain's band on the arm of Marta Vergani. Also inside the debutants Tortelli and Garavelli, on the three-quarter keys entrusted to Abati. The stadium is crowded, there is the qualification to the quarterfinals of the World Cup, and in front of Italy are the landlords of Costa Rica. But the blue, after the victory debut with Zambia, do not even tremble this time, and at the "Nacional" of San Josè they tore access to the direct elimination phase thanks to a Eurogol of Gloria Marinelli, signed at the twentieth of the first half. Performance once again capital, heart and determination, seasoned by the beautiful game that was not lacking even debut. The opponent, pushed by 25.000 fans cheering in a frame to envy many men's championships, was more difficult than the young Africans met last Saturday, but nothing has been possible in front of our local superiority, demonstrated technically and tactically. World debut for the blue under the 17, the first participation in the highest category competition. The obstacle between Italy and the three points is called Zambia: a seemingly affordable clash, in the pleasant setting of the San Jose stadium. So much desire to get involved on a big stage for the girls of Sbardella: the blue technical commissioner chooses the 4-3-3 and line up for the world debut Boattin, Peressotto, Vergani and Rizza in front of Durante; midfield entrusted to Cavicchia, Simonetti and Giugliano, whose task is to trigger Bergamaschi, Marinelli and Piedmont. For surprise Zambia is on the bench Grace Chanda, author of the hat-trick in the race against South Africa that allowed the biancorosse to disconnect the ticket to San Jose. The 17 December was held, in Pueblo Antiguo, the draw phase of the fourth edition of the Under 17 World Championship with Germany, Japan and Mexico seeded together with Costa Rica, organizing country. The draw was made so that the teams of the same Confederation could not meet in the group stage. The competition will be played from the 15 in March to the 4 in April 2014 while the final date is still to be decided *. 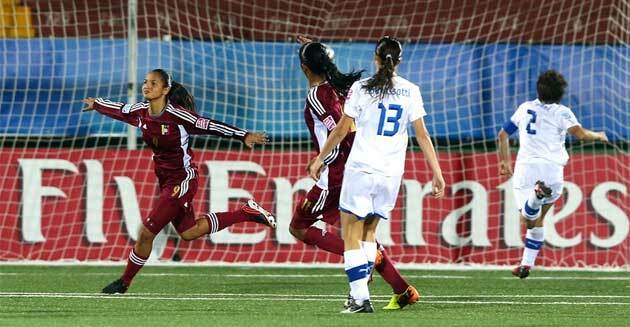 Pool A: Italy, Costa Rica, Venezuela, Zambia, with Italy inaugurating the group match the 16 March against Zambia. 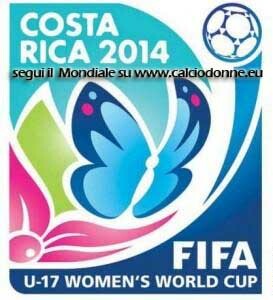 The azzurrine will play the 19 March against Costa Rica and the 23 March against Venezuela.